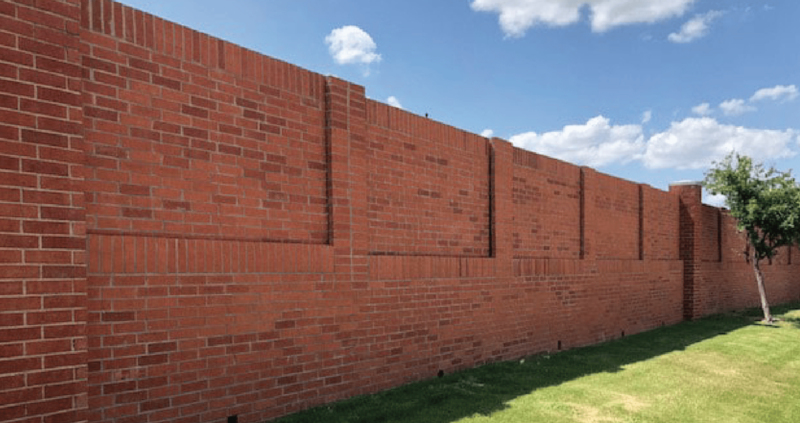 Classic Construction has worked with Valley Ranch since January 2008, having repaired miles of brick walls and concrete pathways as well as various other projects for the Valley Ranch Master Association. 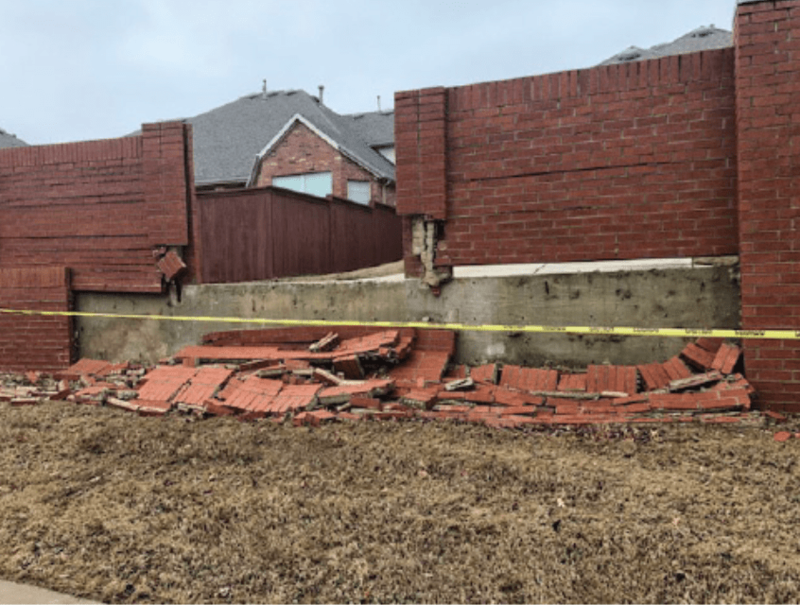 Due to excessive heavy rains in February of 2018, four retaining wall panels and columns partally collapsed. This necessitated the immediate removal of ten panels and eight columns to safeguard the area. 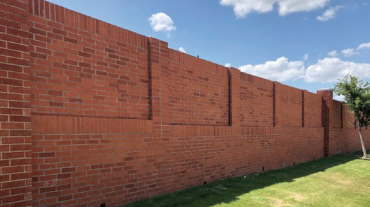 Due to the configuration of the wall design, the brick veneer retaining wall had to be removed and replaced to match the existing design. 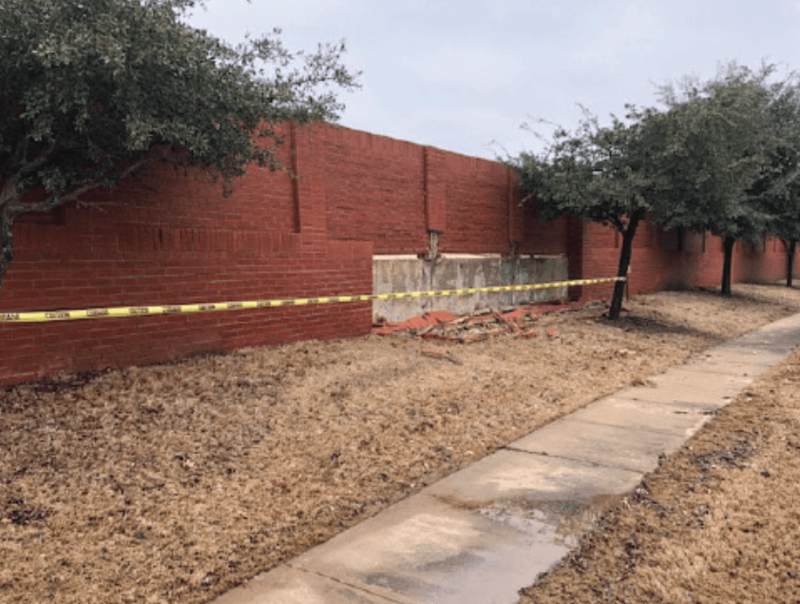 The brick was hauled off the property and a temporary construction barrier was added across the opening for the duration of the project. 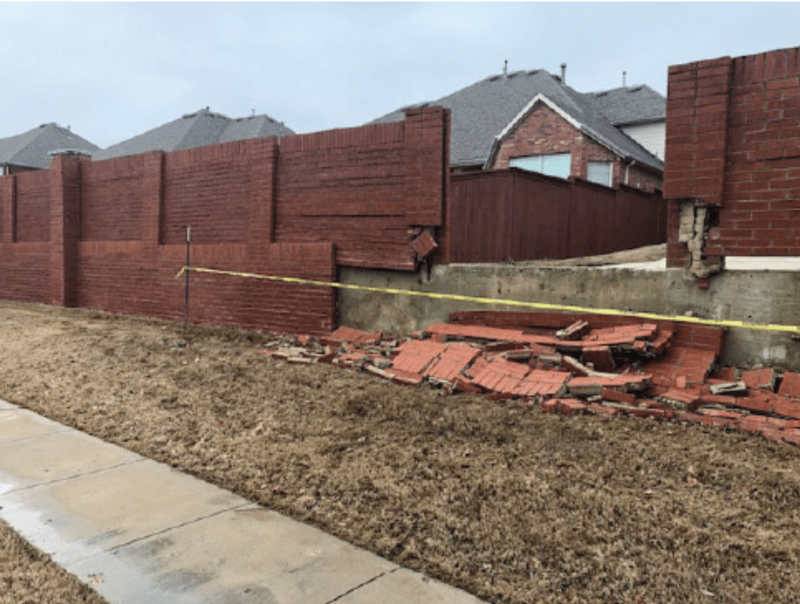 The washed-out wall was demoed within 24 hours and rebuilt within three weeks. © 2019 Classic Construction . All rights reserved.